Shelburne Falls. The sale is Sat and Sun. 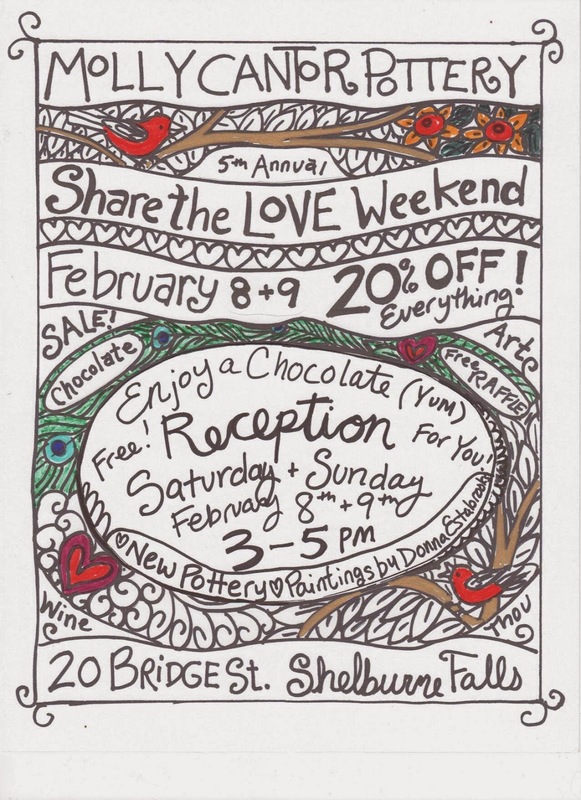 The reception is 3:00 to 5:00 where you can enjoy free chocolate. Molly also offers pottery classes for both adults and kids.